Dr. Mark E. Peterson was awarded a Doctor of Veterinary Medicine degree with High Distinction from the University of Minnesota in 1976, where he graduated as class Valedictorian. After moving to New York City, Dr. Peterson first completed an internship and medical residency at The Animal Medical Center, the largest animal hospital in the world. He then finished a post-doctoral fellowship in both endocrinology and nuclear medicine at The New York Hospital-Cornell Medical Center. This fellowship was awarded and funded by the National Institutes of Health. In 1981, he obtained board certification as an Internal Medicine specialist from the American College of Veterinary Internal Medicine. Dr. Peterson served as head of endocrinology and nuclear medicine at The Animal Medical Center for over 30 years. In addition, Dr. Peterson has held positions as Adjunct Professor of Medicine at the School of Veterinary Medicine at the University of Pennsylvania (1996-2000), Associate Professor of Radiology at the Weill Medical College of Cornell University (1983-2005), and Assistant Professor of Medicine at the New York State College of Veterinary Medicine, Cornell University (1982-1988). He currently serves as adjunct Professor of Medicine at the New York State College of Veterinary Medicine, Cornell University (2015 to present). Over the last 30-plus years, Dr. Peterson has directed most of his research toward advancing our understanding of endocrine disorders in dogs and cats. He is especially interested in hyperthyroidism and diabetes mellitus in cats and hypothyroidism, diabetes mellitus, Cushing’s syndrome, and Addison’s disease in dogs. Dr. Peterson was the first veterinarian to document hyperthyroidism in cats (1979) and the first to treat hyperthyroid cats with radioiodine (1980). In addition to hyperthyroidism, Dr. Peterson was the first person to document a number of “new” diseases in cats, including acromegaly, hypoparathyroidism, insulinoma, and Addison’s disease. He has received several awards in recognition of his clinical research and discoveries, including the Beecham Award for Research Excellence (1985), the Ralston Purina Small Animal Research Award (1987), the Carnation Award for outstanding contributions to feline medicine (1988), the Merit Award of the Veterinary Medical Association (VMA) of New York City (1989), the British Small Animal Veterinary Association (BSAVA) Bougelat Award for outstanding contributions to small animal practice (1993), The Daniels Award for excellence in the advancement of knowledge concerning small animal endocrinology (1991-1997, 1999, and 2001), The Excellence in Feline Research Award, presented by the American Veterinary Medical Foundation and sponsored by The Winn Feline Foundation (1997), the Alumni of the Year Award, The Animal Medical Center (1998), the Award for Outstanding Humanitarian Service from the Bide-A-Wee Association for more than a quarter century of dedicated research in endocrine disorders of dogs and cats (2002). Dr. Peterson received the Outstanding Service to Veterinary Medicine Award from the VMA of New York City (2008), the Presidential Service Citation from the VMA of New York City (2011), and the Presidential Citation from the New York State Veterinary Medical Society (2011). Dr. Peterson was named Veterinarian of the Year by the VMA of New York City (2012) and Outstanding Speaker of the Year by the New York State Veterinary Conference (2013). In 2017, the International Society of Feline Medicine (ISFM) and Hill’s Pet Nutrition gave Dr. Peterson the Award for Outstanding Contributions to the Advancement of Feline Medicine. Most recently, the American College of Internal Medicine (ACVIM) awarded Dr. Peterson the Robert W. Kirk Award for Professional Excellence (2018). Dr. Peterson has published more than 500 journal articles, book chapters, and research abstracts. He has held a number of editorial appointments, including a major textbook of Small Animal Endocrinology. With more than 500 teaching presentations to his credit, Dr. Peterson is a frequent speaker at veterinary and medical seminars both in the United States and abroad. Dr. Peterson is also very involved in organized veterinary medicine and veterinary continuing education. He was the founding member and first President of the Society of Comparative Endocrinology. He has served on the executive board of the New York City Veterinary Medical Association (VMA) from 2006 to 2012, during which time he was also the head of the continuing education program committee. 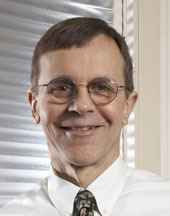 Dr. Peterson served as President of the NYC VMA in from 2010 to 2011. In 2001, Dr. Peterson founded Hypurrcat, a radioiodine treatment center for hyperthyroid cats in Bedford Hills, New York, located about 35 miles north of New York City. In 2005, Dr. Peterson relocated Hypurrcat to a larger space in Bedford Hills. In this new space, he also founded the Animal Endocrine Clinic and purchased the nuclear medicine equipment needed to open a nuclear imaging center (Nuclear Imaging for Animals). In 2009, Dr. Peterson opened an office on the Upper West Side of Manhattan in New York City. He sees endocrine patients in both the Bedford Hills office and the New York City clinic. Both clinics have Hypurrcat facilities for treating hyperthyroid cats with radioiodine. In 2013, Dr. Peterson was appointed to the Editorial Board of the Journal of Feline Medicine and Surgery, the leading scientific veterinary journal dealing with diseases of the cat. Click here to watch video testimonials from veterinarians attending an Animal Endocrine Seminar presented by Dr. Peterson. Click here to watch a video testimonial from Dr. Alan Poppl, a Brazilian veterinarian who has studied under Dr. Peterson. Click here to watch Dr. Peterson receive the ISFM and Hill’s Pet Nutrition Award for Outstanding Contributions to the Advancement of Feline Medicine. Click here to download an interview with Dr. Peterson in the September issue of the Journal of Feline Medicine and Surgery.